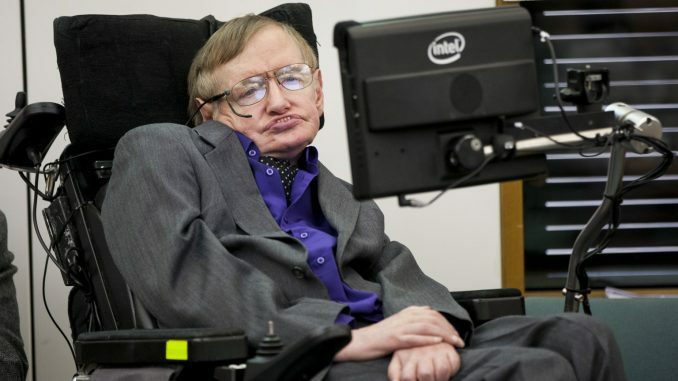 Director of Research at the Centre for Theoretical Cosmology at the University of Cambridge, Stephen Hawking, died in his sleep at the age of 76, on March 14 after a battle with Amyotrophic Lateral Sclerosis (ALS), which he had from the age of 21. Hawking first noticed symptoms of the disease when he felt unusually weak and disoriented during rowing practice. Later, while ice skating with his mother, Hawking took a fall and was physically unable to get up or maneuver his body in anyway. Hawking was then diagnosed with ALS, and initially given a two-year survival expectancy. By the end of his life, Hawking had lost total independent mobility and communicated only by using a device that detected muscle contractions on his face. Hawking’s battle with the disease and his various romantic relationships and encounters are depicted in the film, “The Theory of Everything.” Hawking is played by Eddie Redmayne, English screen and stage actor, 36, in a brilliantly raw depiction of the horrors of terminal disease and innate intellectual intelligence, in the 2014 cinematic production. ALS affects an individual’s nervous system and progressively hinders various bodily functions. Despite this rare and unfortunate diagnosis, the theoretical physicist and cosmologist published various reports and independent journals. Hawking’s contributions to the theoretical scientific world has earned him a metaphorical burial next to scientific greats Sir Isaac Newton and Charles Darwin and a literal spreading of his ashes at the grave sights of the two late scientists. Many of the well wishes referenced Hawking’s new place in free space among the stars, no longer bound to his body or grounded by the physical limitations terminal illness presented to the intellectual mastermind. Nine years ago, Hawking was awarded the Presidential Medal of Freedom by Barack Obama for his various achievements and contributions to the scientific world. These contributions include advancing theoretical knowledge of black holes, singularities, and finally, the theory of everything. Stephen Hawking was the first to suggest that black holes are actually not infinite, but rather, a region of space created by the collapsing and burning out of a star. The collapse creates a gravitational field that is so intense that no matter, not even light, is able to escape. The absorbed matter then slowly leaks radiation into the atmosphere and eventually dissolves and dissipates into space, a theory known as Hawking radiation. Many believe that singularities are at the heart of physics, mathematics, and the theorized Big Bang that created the universe as we know it and everything within it. Hawking asserted that singularities serve a core purpose and play a key role in the human understanding of the realities of black holes. Finally, Hawking’s theory of everything is perhaps his greatest contribution to mankind’s understanding of the scientific universe on a larger scale, beyond the physical world and atmosphere of which we inhabit. This theory takes into account the whole of the cosmos, but also the scientific understanding of quantum mechanics and particle physics. By merging these fields, Stephen Hawking essentially attempted to take on, not only one of the most difficult feats known to the scientific world, but attempted to explain it with grace, dignity, and respect in every facet of all things physical and abstract; and truly believed he achieved this to some extent. Hawking’s theories, if nothing else, provide a point to which more scientific research can be built and expanded on. Hawking was beloved by the world and his contributions inspired nations. Hawking said, as of the recent decade, “I’m not afraid of death, but I’m in no hurry to die. I have so much I want to do first:” and he certainly did.